Supercharge your Streaming Platform with Physical Goods! Imagine the impact when your viewers are immersed in watching the latest Captain America flick on your video streaming platform and they see an option to buy a limited edition Captain America Action Figure or the #1 Mint Condition Issue of Captain America Comic alongside recommended Movies like Iron Man or Avengers? Wouldn’t it be awesome to launch your own official merchandising physical goods section alongside your video streaming channel, so that you cater your audience the best and make the most out of your video streaming business. Introducing Muvi Kart – A physical goods add-on to your video streaming channels, where you can turn your offerings into a hybrid of Video Streaming + merchandise and sell your merchandising products along with streaming videos to your viewers. A perfect monetization strategy!! Muvi Kart is an interesting, One-of-Its-Kind feature that has all the capabilities of a physical store builder, however, merged into video streaming. It allows you to easily create your own Physical store and sell merchandise products aptly categorized into sections and sub sections so that they appear right next to viewers’ favorite video content. You can sell anything and everything from DVDs to T-shirts, Hero Scale Models, Cups and Watches and add one more way to maximize on video business revenues. A powerful way to supercharge your streaming platform is to run a Hybrid Platform that will help you monetize your viewers on all fronts. 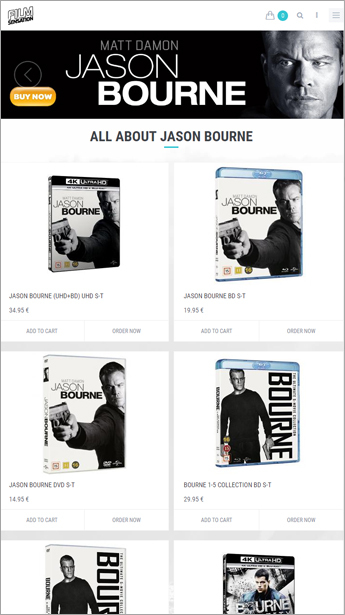 Running and managing a Video-on-Demand (VOD) Platform along with a physical store made ease. Muvi Kart offers a unique add-on to monetize every visitor from your platform to become your customer. Anybody who's not a subscriber to your platform, can be potential customer for your physical goods and merchandizes. You can now sell your physical products and merchandises including T-shirts, DVDs, scale models, cups and watches that are related to your viewer’s preferences, that too in a unified platform. Your viewers are provided with an option to purchase physical products related to the content they are streaming or your platform, which also provides you an added advantage of monetizing your different business channels into one unified platform. Muvi Kart also allows you to accept pre-orders from your viewers about their favorite products not in store but listed on your streaming platform. You can then simply manage these orders in your Muvi dashboard and ship them as and when the product becomes available. Your video platform will always have users that have registered but never transacted. Muvi Kart gives you an option to target such customers and monetize them. You can lure these customers by offering them specific deals and promotions that are personalized based on their viewing habits and behavior on the platform. Physical goods and products have never been complete without tons of discounts and coupons. Muvi Kart comes with a built-in coupon engine that lets you roll out deals, offers and promotions so that you can attract more customers and ultimately sell more. A good way to promote your physical products is to advertise, and MuviKart lets you use the same platform to do so. You can add trailers and product related videos such as “how to use”, “product description”, “demo”, etc. to each product. You can either link your product to a video from YouTube or upload on Muvi’s video library and link it. When we say we have an all-in-all offering, we Literally Mean it. Muvi Kart is a physical store that lets you manage your orders and inventories, setup and receive alerts when inventory runs low, automatically mark products that are “out-of-stock”, and do a lot more with your Muvi Kart. Muvi Kart comes with an enriched dashboard that has tons of reports and tracking tools to help you optimize and display the most relevant products along with the most viewed streaming content on your platform. Monitor and optimize the revenues of your physical products with revenue analytics. Muvi analytics provides you complete analytic and reports on the performance of your physical goods listings. Muvi understands your need to be ahead of competition and keep a track on all your marketing activities. Muvi Kart makes it super easy for you to integrate your Muvi store with Google analytics and keep a track of all your marketing. Muvi Kart is also integrated with Automated Email Triggers and Coupon engines to manage all your promotion activities, and yes, it's SEO optimized from day 1, so you don't need to worry about anything! Muvi Kart comes with an existing library of beautiful templates to help you integrate the merchandising store with your existing video streaming platform instantly, at no extra setup cost. For mobile apps on Android and iOS Muvi has a default template tailored for e-commerce business. No need to worry about the time and efforts that go into making a physical store ready, adding shopping carts, managing orders, and inventories. Just login to your dashboard, upload your logo, select a template, create product listings and launch your store. It’s that simple. Your viewers may come from different parts of the world, may speak different languages and may want to transact in their own currencies. Understanding this, Muvi Kart brings multi-currency and multi-language support, thus, allowing you to talk to your customers in their language and bill them in their local currency. 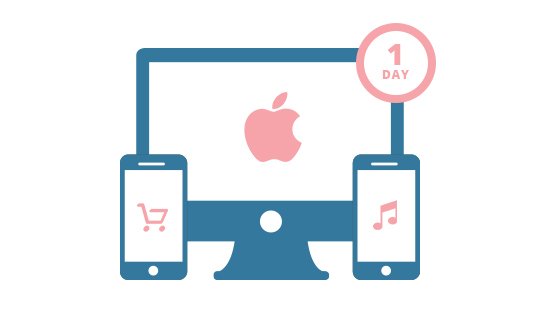 Just at one click, your merchandising store, can be launched across different devices, across different screens, having N number of product listings, without giving you any hassle of platform management at all. Muvi takes care of all IT related things, you just manage your streaming platform and sell products to make better profits. Your viewers may come from different parts of the world. Imagine if you don't provide shipment to specific countries and still viewers are trying to order from that country. With Muvi Kart, you can manage and restrict your Shipments to specific countries depending upon your targeting strategy all from a single control panel. Muvi Kart makes it super easy to help you keep a track record of your customers entire purchase history. You can see the Order History of your customers and understand their behavior for effective targeting on re-purchase. Everybody loves something or anything free. Provide your buyers with a list of Free Offers to choose from every time they buy from your platform. Add a promotional offer to specific goods from the platform or offer Free goodies to your buyers at the time of checkout! A happy customer is happy business. Track all your shipments & let your buyers know in real-time. Muvi Kart offers platform owners to add order tracking code in all their Kart purchases with tracking URL for platform owners & end-users to track their shipment delivery easily. Define appropriate values & size for all your products. If you are selling products having multiple variations in size, you can setup different product sizes and price them accordingly. Muvi Kart lets you manage and set default shipping rules for purchases done on your platform. You can either provide a free shipping to all your users or configure certain shipping pricing for a minimum order value. All this from a single CMS dashboard. Muvi Kart website template now supports language translation. So, you can seamlessly offer the same product to various audiences with different lingual preferences. You can translate your site to any language based on the market needs. You can also translate the physical-only template on Muvi platform. Muvi Kart customers can access details of all the orders placed on their store, in the "Orders" tab. They can view as well as export all orders in the form of a CSV file for easier handling and retrieval of order related information. Looking to have your own Vistaprint? Muvi offers Product Personalization option on its physical cart platform which enables your customers to personalize a product as per their choice. From inscribing texts to engraving images, showcase carvable novelties on your e-commerce platform and wow your shoppers every time they show up at your store.